Harnessing the power, performance and run-time of M12 FUEL technology, Milwaukee Tool recently introduced the M12 FUEL Stubby Impact Wrenches. Milwaukee’s new Stubby Impacts allow access in tight spaces while delivering the power to complete many of the most demanding tasks. They are available in 1/4 inch, 3/8 inch and 1/2 inch sizes. Measuring no more than 5.1 inches in length, their short sizes allows access in tight spaces. The M12 FUEL Stubby Impacts’ POWERSTATE Brushless Motors deliver up to 250 ft.-lbs. 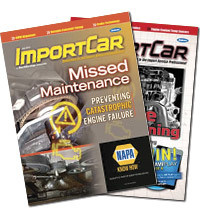 of breakaway torque, removing the most stubborn bolts and fasteners. When paired with Milwaukee’s REDLINK Intelligence and REDLITHIUM XC4.0 Battery Pack, the Stubby Impacts have the power and speed to tackle various applications without dips in performance. Designed with a four-mode DRIVE CONTROL feature, users have the versatility to switch between modes to match the power and speed to the application at hand. All four modes allow for precision control, with the fourth featuring an Auto-Shut Off Mode to prevent over-fastening of bolts. With no hoses, compressors or cords, users will experience less fatigue, as well as more maneuverability and portability during use. 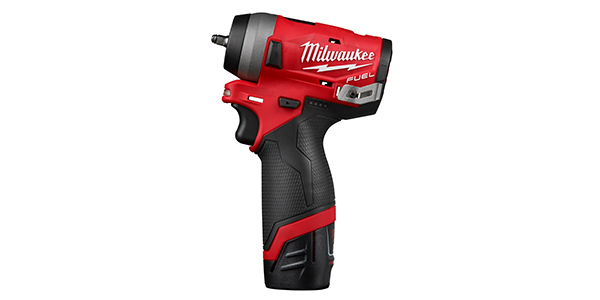 True to Milwaukee’s legendary promise of “Nothing but Heavy Duty,” the tools feature aluminum housing and premium anvil materials to withstand shop and jobsite use. The combination of no wearable motor components and superior durability means users will have to service their tool less, translating to a much lower cost of ownership. In addition, a premium rubber overmold withstands corrosive materials and provides increased comfort when in use. For additional information, visit Milwaukee Tool.